Dream of Life is a Community Interest Company that works with vulnerable young women in Tower Hamlets. We provide targeted and responsive programmes using visual arts that create a safe space to explore identity, aspirations and relationships. Our backgrounds are in social care, education and the arts, we have exceptional knowledge of the issues that affect young people that are excluded from mainstream society. We know from running previous arts projects with young people who lack opportunities, that the arts enable participants to express ideas and issues which are important to them. To have their voices heard through exhibitions, performances and events shared with the wider community promotes understanding and positive change. 1. 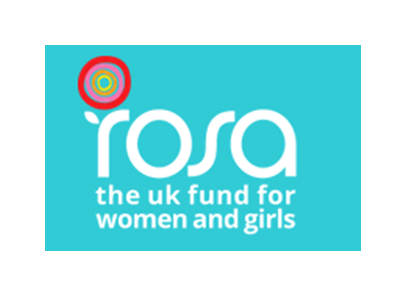 We work on a referral basis to reach young women from different social and cultural backgrounds who are facing a range of barriers such as social isolation, mental health issues, language barriers, anxiety and low confidence. 2. We support young female artists who due to a lack of space and resources and support can not make full use of their talent and potential. We want to reach across London to build a strong community of young women's creative voices. We aim to develop as a self sustaining model, running a studio and arts programme alongside producing media for a young female audience. We aim to make space in our society for the value of self expression, intuition, empathy, relatedness, listening and understanding. We create a platform to explore and transform our personal experience through the creative lens. We make our voices heard through events, exhibition, media and to feel safe to share our voice within a supportive community. Dream of Life support young women to visualise and imagine their hopes and dreams through the creative process of personal exploration. By bringing young women together an energy can be created which can challenge and analyse the power that social media can have and also focus on the force for good that it can be. Young women aged under 25 are the first generation to come into adulthood defined by a culture built on social media. Young women are particularly vulnerable to a social media culture which encourages them to compete with apparently “perfect” lives. Bringing these young women together to communicate their hopes and dreams and giving a space for change, passion and protest is something that is vital for an ever changing environment and ever redefined womanhood.